During the summer of 2007, filmmaker George Ciampa met Jean-Paul Favrais in France, while filming Ciampa’s second documentary, “Let Freedom Ring…Memories of France.” As a researcher of WWII crashes of Eighth Air Force planes in Western France, one of the sites researched by Favrais was that of Lt. Oran T. O’Connor, a B-17 pilot, who crash landed on a farm in a burning plane with only a wounded tail gunner aboard with him. The rest of the crew was ordered to bail out. Sixty years later in 2004, the pilot’s daughter, Kathleen Stanclift, was contacted by Favrais while he was doing research work. Hosted by him, in 2007, she visited the farm where her father crash landed in 1943. Upon her return home, she met with Ciampa to tell of her experience. 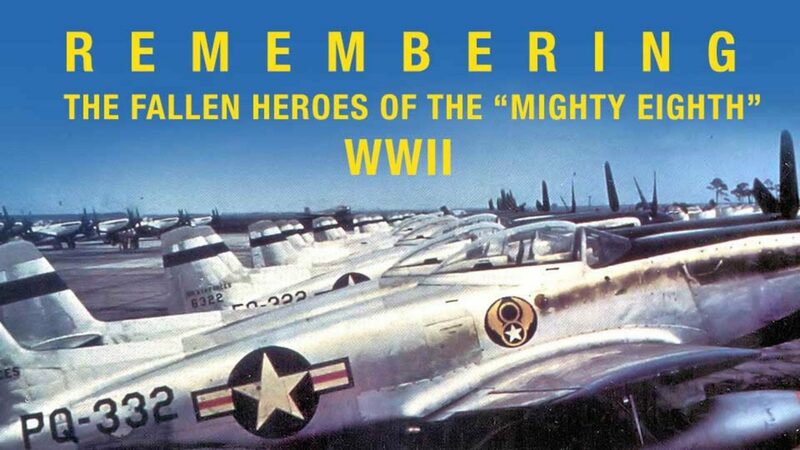 Upon meeting Jean-Paul, Ciampa was so impressed with the amazing work he was doing, that Ciampa wanted to make this film on the fallen heroes of the Mighty Eighth Air Force, the largest air fleet ever assembled.